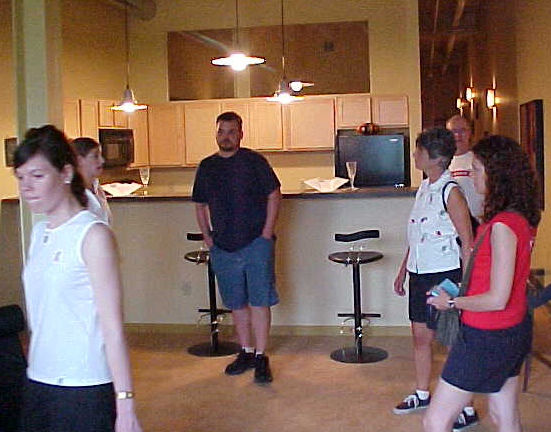 Many hikers opted to come out early for a tour of the Heinz Lofts, new apartments in old Heinz factory buildings. The five buildings also include parking, workout facilities, meeting rooms, and a cafe. This two-bedroom unit is in the Reservoir building. All the buildings have kept their original names. The others are Cereal, Shipping, Bean and Meat. 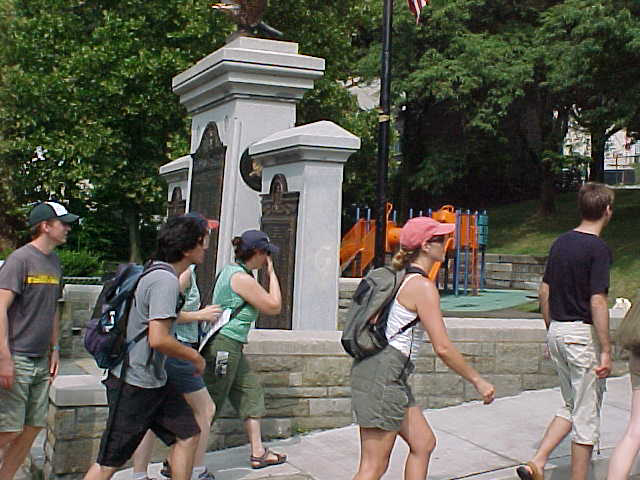 Not far from the lofts is the Sarah Heinz House, which has after-school and summer activities for kids. Charley Chmura, Director of Leadership Development and Administrative Affairs, shows us around. 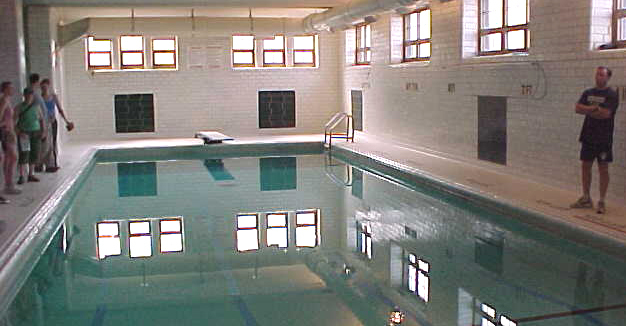 It has activity rooms, a computer lab, and a swimming pool! 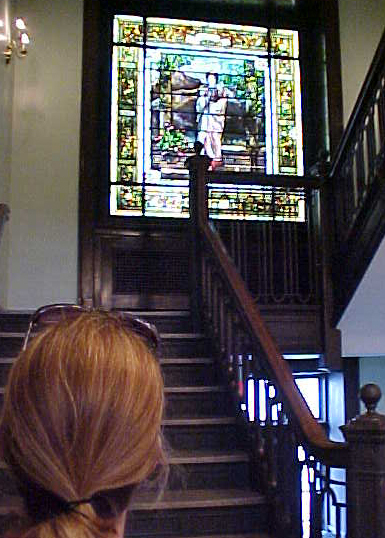 The Sarah Heinz House was built in 1901, and still has its immense stained glass windows promoting values like service, loyalty and knowledge. 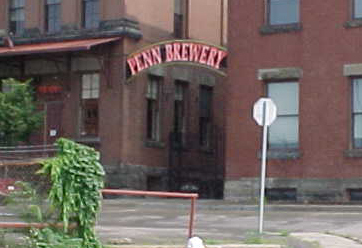 We pass by the Penn Brewery, which has German food and lent us one of their parking lots for the morning. We round a parklet in Spring Garden after hearing about that neighborhood’s Community Development Corporation and its efforts to become more self-sufficient by operating a grocery store and other businesses. 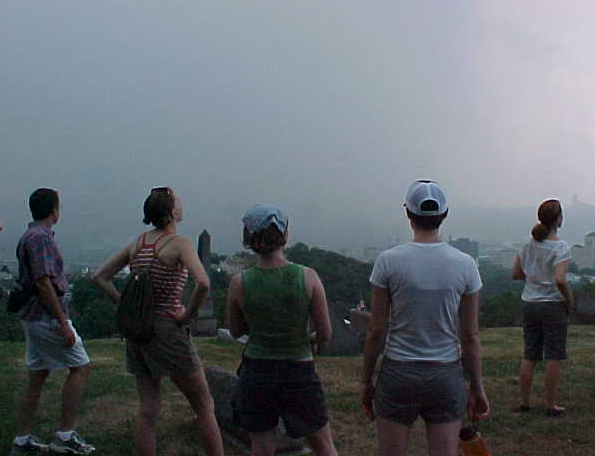 Hikers watch as storm clouds quickly obscure their stellar view of downtown Pittsburgh from St. John’s Evangelical Lutheran Cemetery in Spring Hill (click on the link to the cemetery to see how the view is on a nice day!). The Spring Hill Civic League says this point is the highest in the city, but that’s debatable. 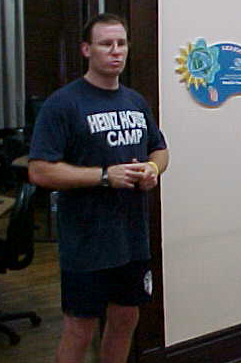 The Steel City Boxing Association turned an old firehouse at the corner of Homer and Damas into a free gym and training center for kids, complete with an Olympic-size ring. 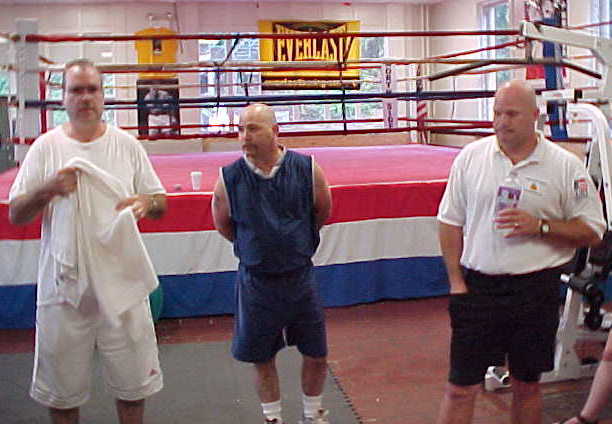 Former amateur boxer Doug Sesky and others volunteer their knowledge and time. 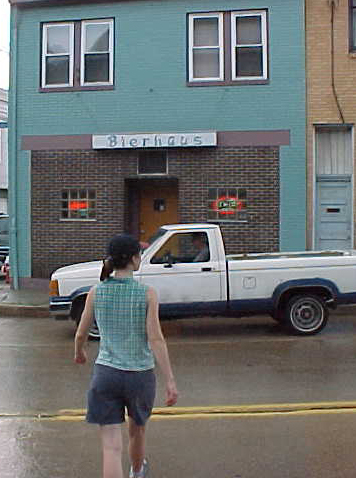 Hikers take shelter from the rain at Bierhaus on Spring Garden Avenue. 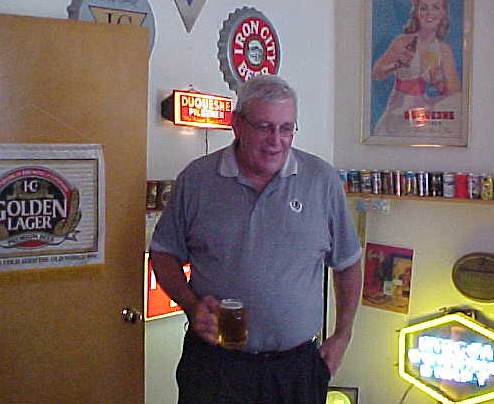 Owner Jerry Lorenz has turned the upstairs into a beer museum. 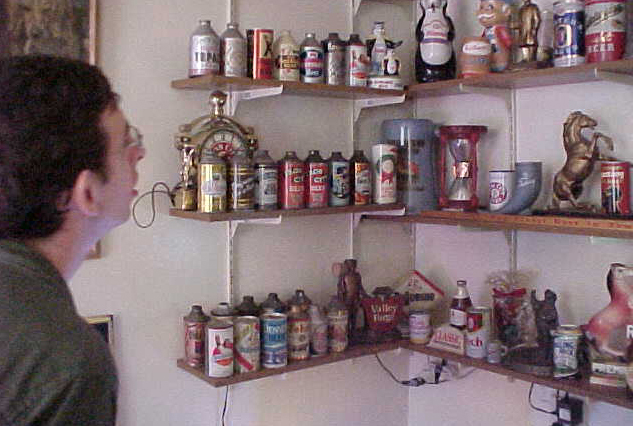 The museum has an extensive collection of cone-top beer cans.